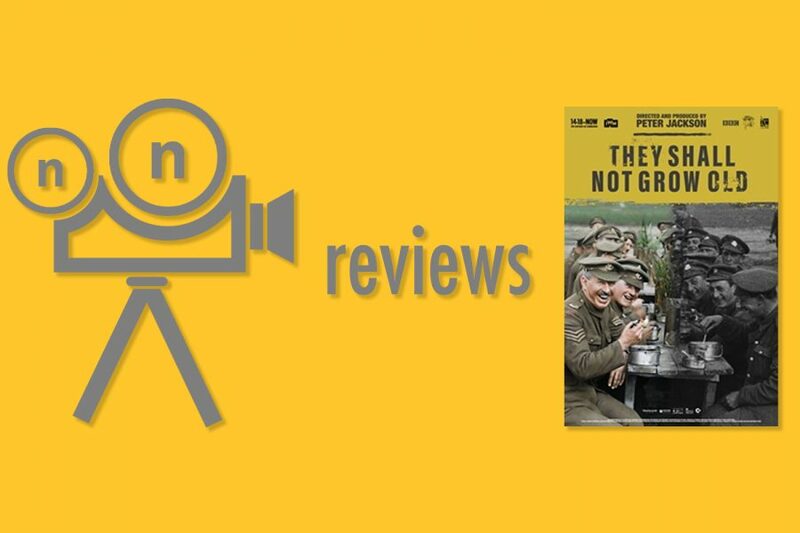 “They Shall Not Grow Old” brings the Great War to life for a new generation through impressive restoration, sound design and colorization of century-old World War I footage. In the film’s intro, Director Peter Jackson (“Lord of the Rings,” “King Kong”) explains how he was approached in 2015 with an interesting proposal from WWI Centenary Art Commission, 14-18 NOW. The challenge? To create a unique and original documentary commemorating the First World War Centenary by using only the archival footage provided by the Imperial War Museum (IWM) and the BBC. Jackson agreed, and over the span of four to five months he and his post-production studio, Park Road Post, developed a brand-new computer assisted technique to restore the hundred-year-old footage used in the film. Residing in London’s IWM film archive is over 100 hours of archival footage from WWI—most of which is never before seen by the public, according to Jackson. These once originally pristine film stocks have had over 100 years to be exposed to a variety of situations resulting in their deterioration, like scratches due to improper handling, shrinkage due to old age or being second or even third generation duplicates. Despite this, Jackson’s team’s restoration efforts are unlike anything else seen in the medium. The resulting footage is so clear that the film is able to be blown up from its original ratio of 4:3 to the more modern ratio of 16:9 without a significant loss in quality. For the first time in a hundred years, the public is able to view the archived footage restored to its original state; in some cases, it’s even better. On top of setting the standard for restoration, Jackson decided for the film to be colorized in order to present the Great War—not only to a new audience that is used to seeing movies in color but also as it was seen by the soldiers who fought in it. By using surviving historical artifacts from the war, including some from his personal collection, Jackson was able to achieve accurate color for things such as uniforms, rifles and artillery. Jackson also traveled to battleground sites seen in the film to get photos showcasing the true color of the grass and foliage of that region. Due to its cost and time requirement, colorization of old film is often only seen in TV series and hobby projects—mostly in a limited extent. Seeing these soldiers laugh, play pranks and horse around in restored black and white footage is a spectacle in its own right, but to see it in color allows you to connect with them in a way usually reserved for more modern films. Jackson’s team at Park Road Post makes this connection even more surreal with the addition of sound to the originally silent footage. Sound designers created the majority of the sound effects via on location Foley work ranging anywhere from artillery explosions to muddy footsteps but most importantly—soldier dialogue. To accomplish a faithful representation of what the soldiers in the film would sound like, professional lip readers were hired to transcribe what they were saying, then Jackson’s team would look up their regiment based off their uniform, and then find local voice actors from the region of Great Britain that regiment was originally from. According to Jackson, the team would then manually sync the dialogue to the soldiers’ mouth based off their research – which sometimes included finding the document a soldier was reading on screen. However, for everything “They Shall Not Grow Old” does well, there are a couple things it does to distract you from them. Often while restoring old film things like scratches are to be expected but when the film your restoring is as old as the First World War you run into an additional problem—speed. Aside from having to remove scratches, account for shrinkage and restore the quality lost to duplication, Jackson’s team at Park Road Post had to convert the speed of the film from the average 16 frames per second (fps) of the era to standard 24 fps of today. This change in the fps results in the most jarring aspect of the film. The six additional frames in each second are computer generated guesses of what the frame would be and it shows. In wide shots it isn’t as noticeable, but with action-heavy shots and the closeups made from jumping to the 16:9 ratio from the original 4:3 ratio, the efforts in restoration and colorization are almost lost to a distracting blur between frames. Layered over the excellent sound design are clips from the 600 hours of interviews the BBC did with WW1 veterans for their series “The Great War” in the 1960s. Jackson picks out sections of the interviews in which the soldiers talk about the mundanity of daily life between the fighting. This begins to drag throughout the film, as the audio from the soldiers’ interviews are matched with unrelated footage of fighting, often without pause between interviewee. This doesn’t mean that these interviews don’t belong in the film; they’re wonderful snippets from the lives of soldiers of a now past generation, but in this case less would’ve been more.